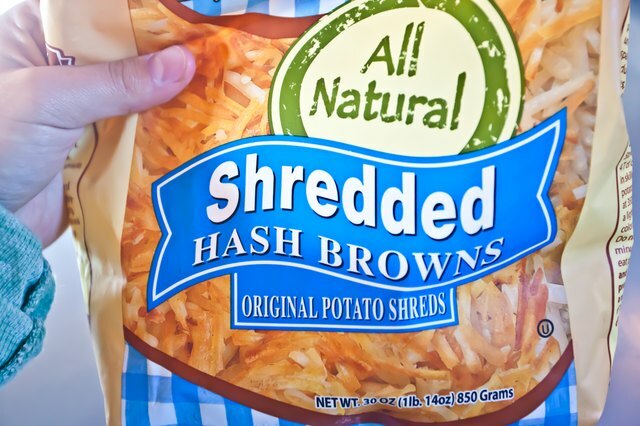 Whether shredded or diced, a package of frozen hash browns adds substance to hearty breakfast bakes or zesty dinner casseroles. 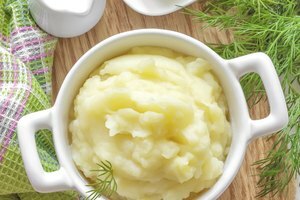 If your recipe calls for using the potatoes unfrozen, your thawing options depend partly on how much time you've had to plan the meal. 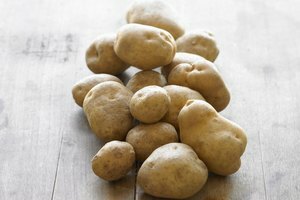 Microwaving or cold water defrosting will come to the rescue whenever you've forgotten to thaw the potatoes overnight. 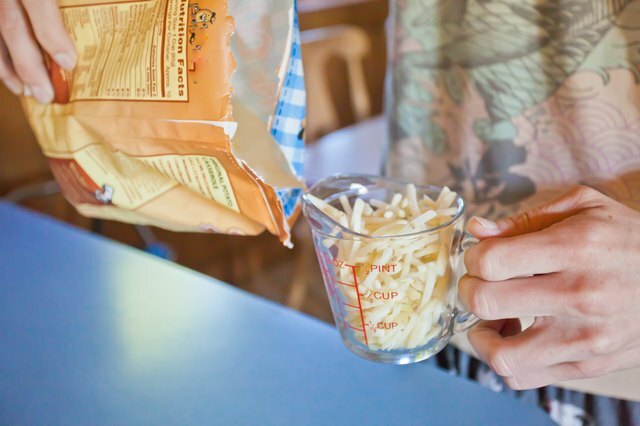 If you've remembered to plan ahead, thawing the hash browns in the refrigerator saves a little prep work at mealtime. 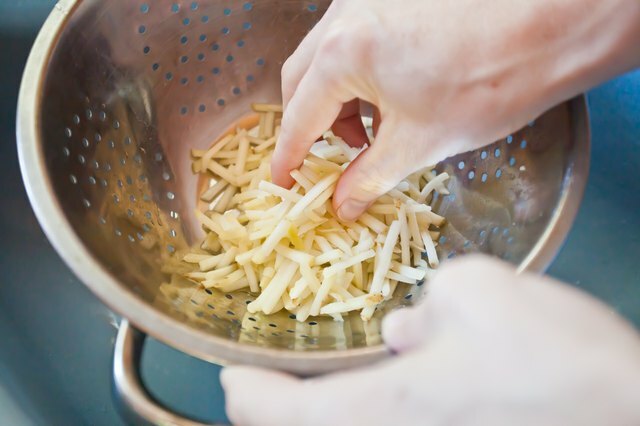 Measure out the quantity of hash browns you need and place them, in a single layer, on a tray or cookie sheet lined with paper towels. Put another layer of paper towels over the hash browns, and place them in the refrigerator. 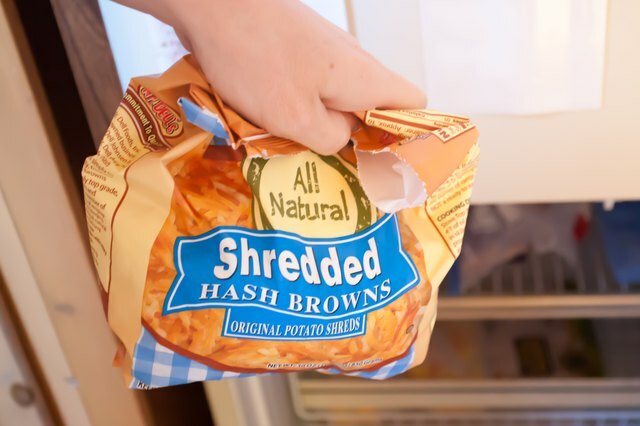 Return unused hash browns to the freezer, in either a freezer-safe container or plastic bag. 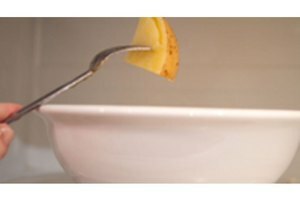 Remove the hash browns from the refrigerator after at least eight hours. Pat them dry with fresh paper towels, and proceed with your recipe. 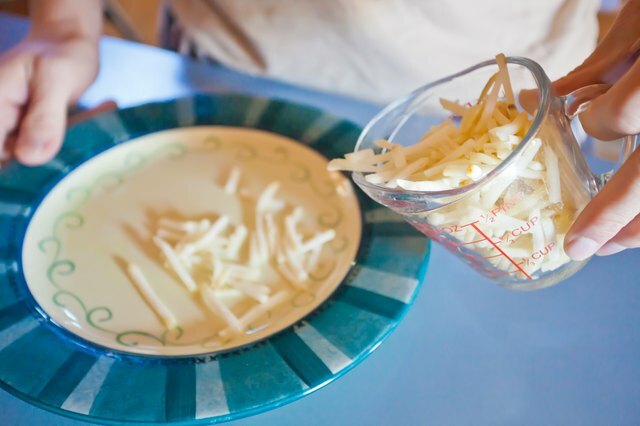 Measure out the quantity of frozen hash browns you need for your recipe. If you are only using part of the box or bag, return the remaining hash browns to the freezer. Put the frozen hash browns, in a single layer, on a microwave-safe plate. Microwave the hash browns on "High," for 30 seconds for each 1 cup of potatoes. 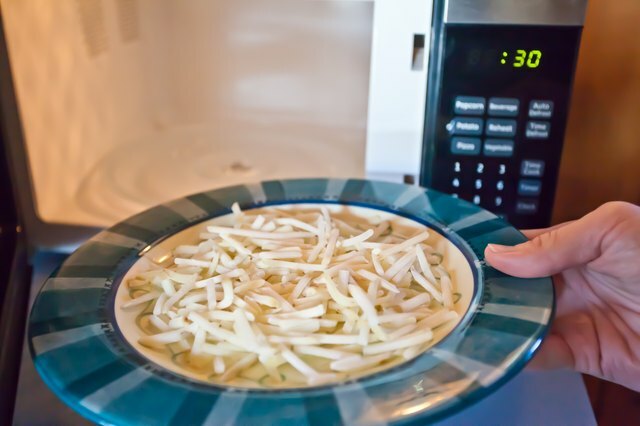 Remove the plate from the microwave. 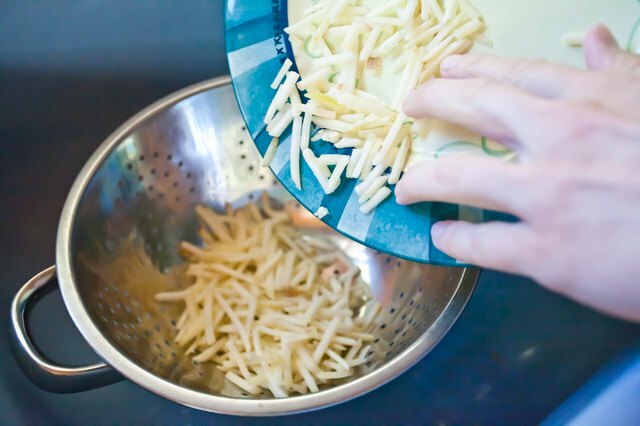 Drain the hash browns in a colander or pat them dry with paper towels, and proceed with your recipe. 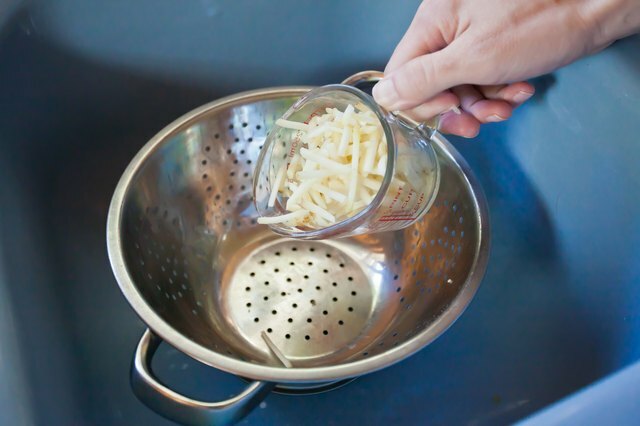 Measure out the quantity of hash browns you need, and place them in a colander. 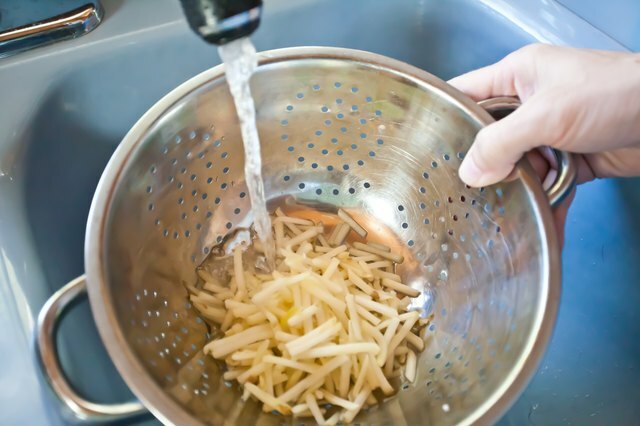 Run your faucet's sprayer attachment over the hash browns, making sure the water is cold. Do not use hot or warm water. Jiggle the contents of the colander to ensure even coverage. Check the hash browns after 20 seconds. If they have not yet thawed, continue running cold water over them. 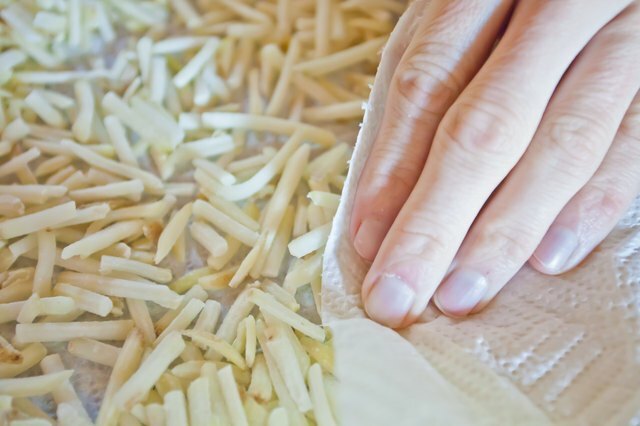 Squeeze out excess water from the potato pieces. Remove them from the colander and proceed with your recipe. 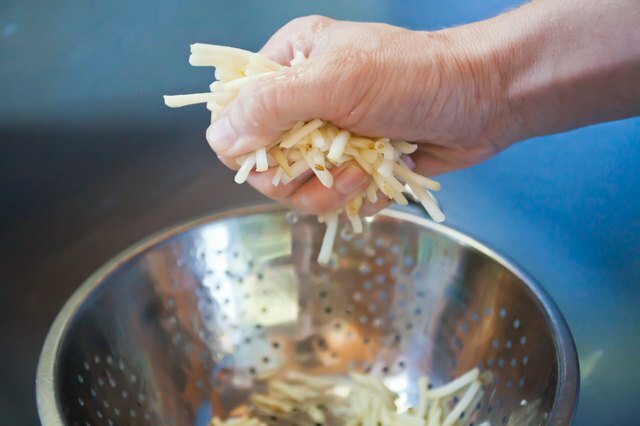 Unless the recipe specifies otherwise, shredded and diced hash browns can be used interchangeably. 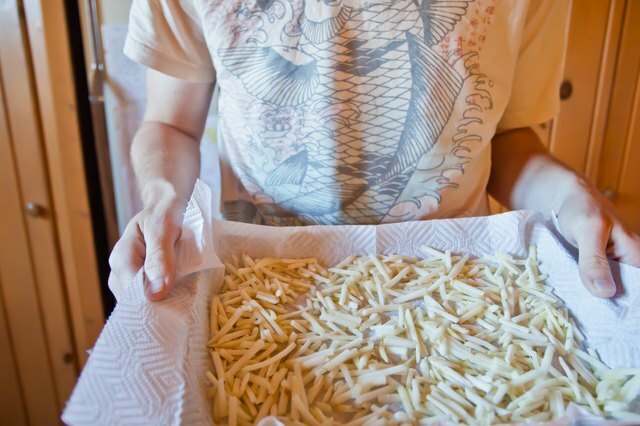 Patty-type hash brown products are best reserved as side dishes, rather than used as a casserole addition. Do not thaw hash browns on the counter or at room temperature. This can lead to the growth of bacteria that cause foodborne illness.